Riberry, Small leafed lillypilly, Cherry Satinash. A beautiful and commonly grown rainforest tree with new growth changing through several colours. A very dense tree, usually narrow in habit, but can be pruned easily to shape. White terminal flowers in late spring or early summer are followed by masses of bright red pear-shaped fruit to about 1cm long. 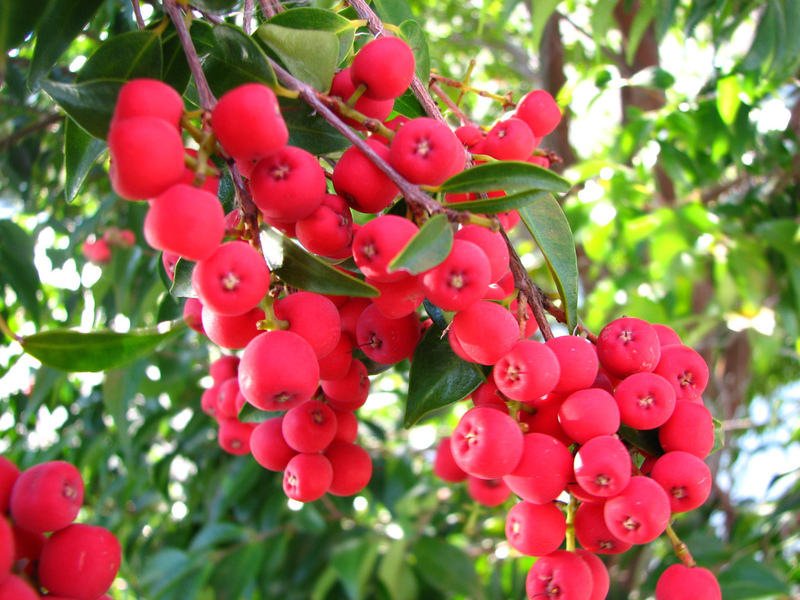 It is an appealing plant for many reasons, and one of the important plants used by the modern bushfood industry. The riberry fruits have a clove flavouring. The fruit can be used for making jam, and in tarts, meat sauce, and cakes. The whole fruit can be blended for use in icecream. Seedless varieties are favoured.